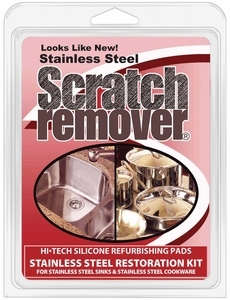 Brand new, stainless steel sink and cookware scratch remover restoration kit, 63001. 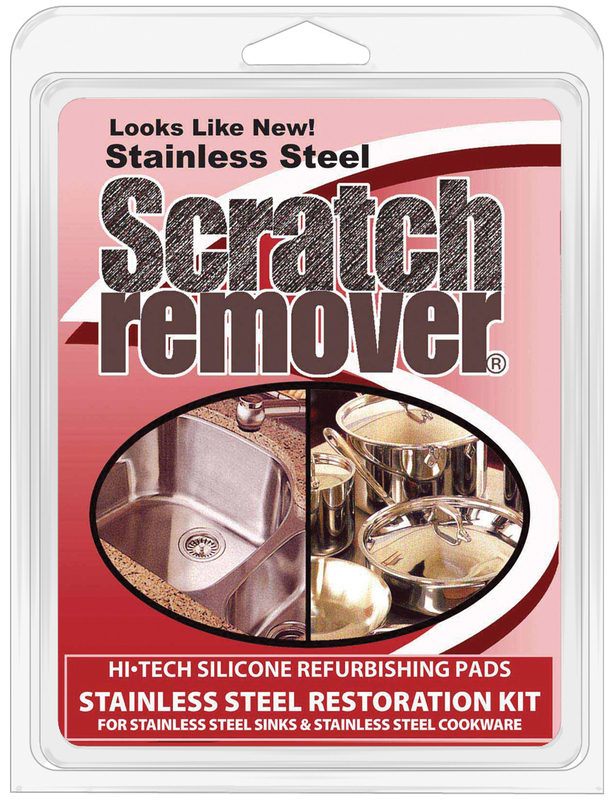 Restoration kit will remove damage and scratches caused by the wear and tear of utensils, pots, pans, steel wool and non-woven cleaners. Your sink and cookware will have a renewed and uniform finish. Contains sponge, gloves, instructions, (3) two sided hi-tech silicone carbide refurbishing pads and polishing liquid.